The petrochemical industry uses fossil fuels (e.g., natural gas) or petroleum refinery products (e.g., naphtha) as feedstocks. This section provides guidance for estimating emissions from the production of methanol, ethylene and propylene2, ethylene dichloride, ethylene oxide, and acrylonitrile. These petrochemicals are addressed in detail because their global production volume and associated greenhouse gas emissions are relatively large. However, the chemicals included are not intended to represent the entire petrochemical process industry. There are a number of other petrochemical processes that emit small amounts of greenhouse gases for which specific guidance is not provided (e.g., styrene production). This section also provides guidance for production of carbon black. Carbon black is not considered to be a petrochemical; however, the carbon black production process uses petrochemical feedstocks. Emissions from carbon black production are smaller than for petrochemical processes but may be significant for certain countries. Examples of feedstock to product production chains for methanol, ethylene and propylene, ethylene dichloride, ethylene oxide, acrylonitrile, and carbon black are included in the Annex to Section 3.9. Within the petrochemical industry and carbon black industry, primary fossil fuels (natural gas, petroleum, coal) are used for non-fuel purposes in the production of petrochemicals and carbon black. The use of these primary fossil fuels may involve combustion of part of the hydrocarbon content for heat raising and the production of secondary fuels (e.g., off gases). Combustion emissions from fuels obtained from the feedstocks should be allocated to the source category in the IPPU Sector. However, where the fuels are not used within the source category but are transferred out of the process for combustion elsewhere (e.g., for district heating purposes) the emissions should be reported in the appropriate Energy Sector source category. The industries are included in the source category Chemical Industry (2B1 - 2B10), see Figure 1.1, Industrial Process and Product Use Source Categories in Chapter 1 of this volume. 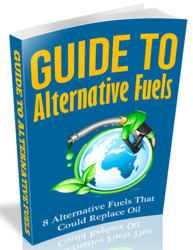 Further discussion of the non-energy use of fuels is included in Chapters 1 and 5 of this volume. Note that national energy statistics may include total combustion of fossil fuels (including natural gas, oil, and coal,) and also secondary fuels (such as industrial process off gases) for energy production. It is important to investigate if fuels used in petrochemical industries are included in national energy statistics. If this is the case, emissions from petrochemical processes should be subtracted from the calculated energy sector emissions to avoid double counting. This is particularly relevant for ethylene and methanol, where primary fuel (e.g., natural gas, ethane, propane) feedstock consumption may be reported in national energy statistics. Should carbon dioxide (CO2) capture technology be installed and used at a plant, it is good practice to deduct the CO2 captured in a higher tier emissions calculation. The default assumption is that there is no CO2 capture and storage (CCS) taking place. Any methodology taking into account CO2 capture should consider that CO2 emissions captured in the process may be both combustion and process-related. In cases where combustion and process emissions are to be reported separately, inventory compilers should ensure that the same quantities of CO2 are not double counted. In these cases the total amount of CO2 captured should preferably be reported in the corresponding energy combustion and IPPU source categories in proportion to the amounts of CO2 generated in these source categories. For additional information on CO2 capture and storage refer to Volume 3, Section 1.2.2 and for more details on capture and storage to Volume 2, Section 2.3.4. Petrochemical processes may utilise CO2 captured elsewhere as a feedstock, and CO2 may also be captured from petrochemical processes. This may create potential double counting issues. For example, some methanol plants may utilise by-product CO2 captured from other industrial processes as a feedstock for methanol production. To avoid double counting the CO2 captured should not be reported as CO2 emissions from the process from which the CO2 is captured. 2 Note that there is no separate inventory methodology for propylene. Propylene is assumed to be a co-product of ethylene production. Worldwide almost all methanol is made by way of steam reforming of natural gas. The steam reforming and shift reaction produce 'synthesis gas' comprised of CO2, carbon monoxide (CO), and hydrogen (H2). The natural gas to methanol production process produces methanol and by-product CO2, CO, and H2 from the synthesis gas. There are several alternative processes for producing methanol from natural gas or other feedstocks. These include conventional reforming process, combined reforming and partial oxidation process. An example of a feedstock to product process flow diagram for methanol production is provided in an Annex to Section 3.9 (Annex 3.9A). Process descriptions for methanol production are included in Box 3.8 below. The surplus hydrogen from this process and methanol process purge gas containing methane (CH4) and non-methane volatile organic compounds (NMVOC) are recovered and burned for energy recovery, generally within the methanol production process, to produce process steam and/or electricity for the process. The Conventional Reforming Process may utilise CO2 captured from other industrial processes as a supplemental feedstock to the methanol production process. The Combined Reforming Process produces a synthesis gas that contains a more balanced ratio of hydrogen to carbon monoxide (CO) and CO2 than does the Conventional Reforming Process, and does not produce a hydrogen gas stream for energy recovery. The Combined Reforming Process produces a purge gas containing CH4 that is burned for energy recovery within the methanol process. Methanol may also be produced from the partial oxidation of oil, coal, or petrochemical feedstocks, or by gasification of coal to synthesis gas, however; these feedstocks and processes currently represent only a small amount of worldwide methanol production. Worldwide almost all ethylene is made by way of steam cracking of petrochemical feedstocks. Ethylene may be produced from steam cracking of petrochemical feedstocks in a petrochemical plant, and may also be produced from cracking and other processes operated at petroleum refineries. Steam cracking for ethylene production also produces secondary products including propylene and butadiene. A process description for steam cracking process for ethylene production is provided in Box 3.9 below. The types and mix of feedstock used in steam cracking for ethylene production varies by region, and include ethane, propane, butane, naphtha, gas oil, and other petrochemical feedstocks. In the United States, most ethylene is produced from steam cracking of ethane, while in Europe, Korea, and Japan most ethylene is produced from steam cracking of naphtha. Steam cracking of petrochemical feedstocks to produce ethylene also produces other high value (saleable) petrochemical products, including propylene, butadiene, and aromatic compounds. Most propylene worldwide is produced as a by-product of ethylene production, recovered either from steam crackers or from fluid catalytic cracking units at petroleum refineries. Steam crackers using naphtha feedstock are the largest source of propylene. There are other process technologies that are used to produce propylene including catalytic dehydrogenation of propane. 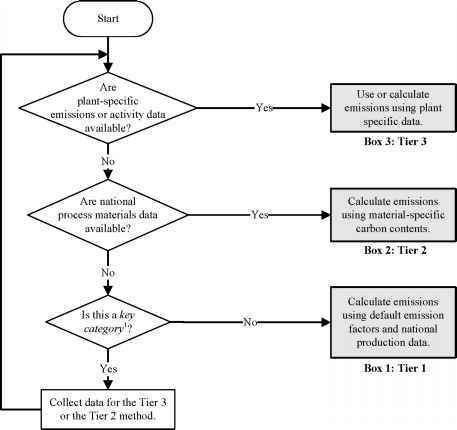 Note that the emissions estimation methods in this section apply only to production of ethylene and propylene in steam crackers and do not apply to other process technologies used to produce ethylene or propylene. The steam cracking process also produces by-product hydrogen and methane and C4+ hydrocarbons that are generally burned for energy recovery within the process. Worldwide almost all ethylene dichloride (1, 2 dichloroethane) is made by way of direct chlorination or oxychlorination of ethylene, or by a combination of the two processes (referred to as the 'balanced process.') An example of a feedstock to product process flow diagram for ethylene dichloride production is provided in an Annex to Section 3.9 (Annex 3.9A). Process descriptions for ethylene dichloride and vinyl chloride monomer production are provided in Box 3.10 below. Note that the chemical compound 'ethylene dichloride' is also referred to as 1,2-dichloroethane. The chemical compound 'dichloroethylene,' also referred to as 1, 2-dichloroethene, is a different compound. The direct chlorination process involves gas-phase reaction of ethylene with chlorine to produce ethylene dichloride. The oxychlorination process involves gas-phase reaction of ethylene with hydrochloric acid and oxygen to produce ethylene dichloride and water. The ethylene dichloride is then cracked to produce vinyl chloride monomer and hydrochloric acid. The oxychlorination process produces a process off gas containing by-product CO2 produced from the direct oxidation of the ethylene feedstock. The combination of the direct chlorination process to produce ethylene dichloride and the ethylene dichloride cracking process to produce vinyl chloride monomer produces a surplus of hydrogen chloride. The oxychlorination process provides a sink for the hydrogen chloride. Therefore, ethylene dichloride/vinyl chloride monomer production facilities may operate a 'balanced process' in which both the direct chlorination process and the oxychlorination process are combined. The 'balanced process' also produces process vent gas containing by-product CO2 from the direct oxidation of the ethylene feedstock. The direct chlorination process and the oxychlorination process for ethylene dichloride production are not 100 percent efficient in the utilisation of the ethylene feedstock. On the order of three percent of the ethylene feedstock is not converted to ethylene dichloride but is converted either to CO2 (by direct oxidation in the oxychlorination process) or to other chlorinated hydrocarbons (in either the oxychlorination process or the direct chlorination process.) Process off gas containing other chlorinated hydrocarbons is generally treated prior to discharge to the atmosphere. The chlorinated hydrocarbons are converted to CO2 in a thermal incineration process or a catalytic incineration process. Most ethylene dichloride/vinyl chloride monomer plants recover energy from the incinerator off gases and process off gases. Ethylene oxide (C2H4O) is manufactured by reacting ethylene with oxygen over a catalyst. The by-product CO2 from the direct oxidation of the ethylene feedstock is removed from the process vent stream using a recycled carbonate solution, and the recovered CO2 may be vented to the atmosphere or recovered for further utilisation (e.g., food production.) The oxygen may be supplied to the process through either air or through pure oxygen separated from air. An example of a feedstock to product process flow diagram for ethylene oxide production is provided in an Annex to Section 3.9 (Annex 3.9A). A process description for ethylene oxide production is provided in Box 3.11 below. The ratio of the ethylene oxide reaction and the by-product reaction defines the selectivity of the ethylene oxide process, in terms of tonnes of ethylene consumed per tonne of ethylene oxide produced. The combined ethylene oxide reaction and by-product CO2 reaction is exothermic and generates heat, which is recovered to produce steam for the process. The ethylene oxide process also produces other liquid and off-gas by-products (e.g., ethane) that may be burned for energy recovery within the process. The amount of CO2 and other by-products produced from the process and the amount of steam produced from the process is dependent upon the selectivity of the process. Ethylene oxide is used as a feedstock in the manufacture of glycols, glycol ethers, alcohols, and amines. Worldwide approximately 70 percent of ethylene oxide produced is used in the manufacture of glycols, including monoethylene glycol. Worldwide more than 90 percent of acrylonitrile (vinyl cyanide) is made by way of direct ammoxidation of propylene with ammonia (NH3) and oxygen over a catalyst. This process is referred to as the SOHIO process, after the Standard Oil Company of Ohio (SOHIO). Acrylonitrile can also be manufactured by ammoxidation of propane or directly from reaction of propane with hydrogen peroxide. The propane-peroxide direct process has recently been commercialised by British Petroleum (BP) and other manufacturers. (DOE, 2000) However, process data were not readily available for production of acrylonitrile from propane feedstocks. Therefore no emission estimation methodology is provided for this process. An example of a feedstock to product process flow diagram for acrylonitrile production from propylene is provided in an Annex to Section 3.9 (Annex 3.9A). Process descriptions for acrylonitrile production are provided in Box 3.12 below. The SOHIO process involves a fluidized bed reaction of chemical-grade propylene, ammonia, and oxygen over a catalyst. The catalyst is a mixture of heavy metal oxides (including bismuth and molybdenum). The process produces acrylonitrile as its primary product and acetonitrile (methyl cyanide) and hydrogen cyanide (HCN) as secondary products. The process yield of the primary product acrylonitrile depends in part on the type of catalyst used and the process configuration. The ammoxidation process also produces by-product CO2, CO, and water from the direct oxidation of the propylene feedstock, and produces other hydrocarbons from side reactions in the ammoxidation process. The acetonitrile and hydrogen cyanide are separated from the acrylonitrile by absorption, and the hydrogen cyanide may be used in manufacturing other products on site or sold as product. Hydrogen cyanide that is not used or sold may be burned for energy recovery or flared. The acetonitrile may be also recovered for sale as a product, but more often the acetonitrile is burned for energy recovery or flared. The off gas from the main absorber vent containing CO2, CO, nitrogen, water, unreacted propylene, and other hydrocarbons, may be flared or treated in a thermal or catalytic oxidation unit, with or without energy recovery. Heavy bottoms liquids from the acetonitrile - hydrogen cyanide - acrylonitrile absorption separations process may also be burned for energy recovery or recycled. Acrylonitrile and other non-methane hydrocarbons are also released from miscellaneous process vents, including storage tanks. These miscellaneous process vents may be flared or captured and burned for energy recovery. The ammoxidation of propylene to acrylonitrile is not 100 percent efficient in utilisation of the propylene feedstock. On the order of 70 percent of the propylene feedstock is converted to acrylonitrile. On the order of 85 percent of the propylene feedstock is converted to either the primary product acrylonitrile or secondary products acetonitrile or hydrogen cyanide. The remainder of the propylene feedstock is either converted directly to CO2 by direct oxidation of the feedstock in the ammoxidation process or converted to other hydrocarbons through side reactions in the ammoxidation process. Worldwide almost all carbon black is produced from petroleum-based or coal-based feedstocks using the 'furnace black' process. Process descriptions for carbon black production are provided in Box 3.13 below. The furnace black process is a partial combustion process where a portion of the carbon black feedstock is combusted to provide energy to the process. Carbon black may also be produced using other petroleum-feedstock or coal-based feedstock partial oxidation processes, including the 'channel black' process and 'lamp black' process, or may be produced directly by the partial oxidation of natural gas or aromatic oils ('channel black process'). Carbon black may also be produced by the thermal cracking of acetylene-containing feedstocks ('acetylene black process') or by the thermal cracking of other hydrocarbons ('thermal black process'.) Approximately 95 percent of worldwide carbon black production is by way of the furnace black process; the remaining 5 percent being produced by way of other processes. Approximately 90 percent of carbon black produced worldwide is used in the tire and rubber industry (referred to as 'rubber black.') and the remainder is used in pigment applications (e.g., inks) and other applications (e.g., carbon dry cell batteries.) Carbon black may be produced using a furnace black process, thermal black process, acetylene carbon black process, channel black process and lamp black process. These processes are further described in Box 3.13 below. An example of a feedstock to product process flow diagram for carbon black production using the furnace black process is provided in an Annex to Section 3.9 (Annex 3.9A). The furnace black process produces carbon black from 'carbon black feedstock' (also referred to as 'carbon black oil') which is a heavy aromatic oil that may be derived either as a by-product of the petroleum refining process or the metallurgical (coal) coke production process. For either petroleum-derived or coal-derived feedstock, the carbon black feedstock, the 'primary feedstock,' is injected into a furnace heated by a 'secondary feedstock' (generally natural gas or oil). Both the natural gas secondary feedstock and a portion of the carbon black feedstock are oxidized to provide heat to the production process that pyrolyzes the remaining carbon black feedstock to carbon black. The vent gas from the furnace black process contains CO2, CO, sulphur compounds, CH4, and NMVOCs. A portion of the tail gas is generally burned for energy recovery to heat the downstream carbon black product dryers. The remaining tail gas may also be burned for energy recovery, flared, or vented uncontrolled to the atmosphere. Carbon black is produced in the thermal black process by thermal decomposition of gaseous hydrocarbons or atomized petroleum oils in the absence of air in a pair of production furnaces. The carbon black feedstock is introduced into a preheated furnace that is heated by a secondary feedstock, usually natural gas, and by the off gas from the carbon black production process. One of the pair of furnaces is being preheated by the secondary feedstock while the other furnace is receiving carbon black feedstock. Yield from this process is approximately 45 percent of total carbon input to the process (or 40 percent with respect to the total carbon black feedstock used) and energy utilisation is approximately 280 MJ/kg carbon black produced. Carbon black produced from acetylene or acetylene-containing light hydrocarbons by feeding the feedstock to a preheated reactor where the acetylene decomposes to carbon black in an exothermic process. Total worldwide production of acetylene black is only approximately 40 000 metric tons per year. The carbon black yield from this process is approximately 95-99 percent of theoretical yield. Acetylene black is approximately 99.7 percent carbon. The channel black process involves partial oxidation of vaporised carbon black feedstock that is burned in a furnace with a carrier gas (which may be coke oven gas, hydrogen, or methane). The carbon black yield for this process may be 60 percent of total carbon input for production of rubber-grade carbon black or 10-30 percent of total carbon input for pigment-grade carbon black. The lamp black process involves open burning of carbon black feedstock in shallow pans. Data are not readily available concerning feedstock yield and energy consumption for the lamp black process. This process represents an insignificant percentage of worldwide carbon black production.